Karen Costa, I help people to remember calm. Many people become interested in using essential oils because of their kids. They’re a great reason to start aren’t they? One of the biggest concerns a lot of parents have is around things like behavior, focus, hyperactivity, ADD/ADHD, etc. I want to take a minute to address this and to offer some points for you to consider if you are dealing with this issue. 1. I am not a doctor and I don’t even play one on TV. Doctors are important. Talk to one, maybe even two. One of my teachers calls doctors “Western doctors.” You are getting the Western, scientific viewpoint from them. It’s important. It’s not the only viewpoint. 2. I teach yoga, college success courses, and work as a wellness and career coach/advocate. I educate through my writing. In short, I’m a teacher. In all of my teaching roles, my mission is to help YOU become your own best teacher. I’m not here to tell you what you should do. I try not to use the word should at all in my life. I am here to share information, to give you my opinion, and to connect you with resources. But when all is said and done, what I want most is to empower you to be your own best wellness advocate. 3. Many people who know me know that I read a lot. One of my friends calls me The Librarian. I have read a lot on this subject and I can tell you that the absolute BEST RESOURCE on the planet for these concerns is the book Self-Reg by Dr. Stuart Shanker. He is a doctor, though I’m not sure if he also plays one on TV. The book is out in paperback and it will be the best $10 you ever spent. There are also tons of resources on his website. No, Dr. Shanker doesn’t pay me to plug him. I share this info because it’s life-changing and I believe all humans should read this book. Also, he’s Canadian and I’m basically obsessed with Canadian people and whenever I meet them I try to make them my best friends. 4. Dr. Shanker explains how what many of us perceive as misbehavior or hyperactivity is actually a stress reaction. Our children are under monumental stress and many of them are acting out because of that stress. Our job are parents is to minimize stress the extent possible (note that it is impossible to eliminate stress) and to teach our children how to notice the signs of stress and learn to calm themselves down. While they are learning to do that, we can help them do it. 5. Stressors include things like too much stimulation, overcommitting to activities, sugar, chaotic environments, family dysfunction, health concerns, etc. 6. Stress management strategies include things like deep breathing, rubbing your child’s back, keeping the home environment clean and calm, clear expectations and communications, and developing healthy routines. Exercise can be type of stress relief. Note that is can also be a stressor, of course. It depends on the type of exercise and how it’s woven into your child’s life. 7. Children learn more from what we do than what we say. If you are overloaded with stress and not managing it, your child will pick this up. Take care of yourself first. Put your oxygen mask on first. Make stress management a family affair. If I asked your child what they learn from you about stress, what would they say? 8. Now, finally, we arrive at the role of essential oils in this scenario of an overstressed child who is acting out. First, let me say that there’s no silver bullet. If there was an essential oil that “cured” stress, essential oil companies would be a quadrillion dollar industry (is that a number?). 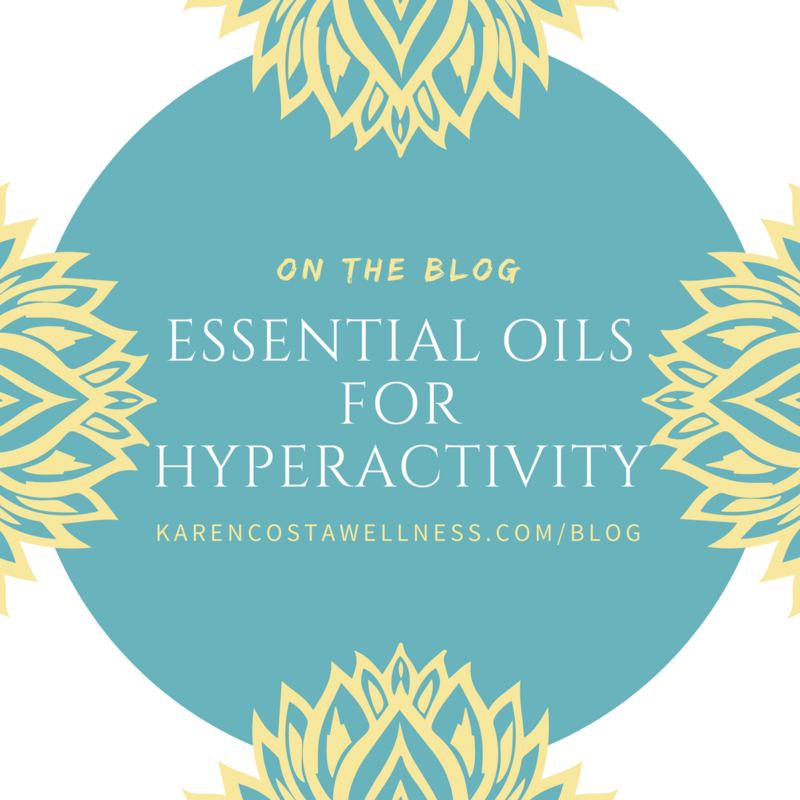 Essential oils can be PART OF your approach here. Read the book, make some positive changes, eat healthy, and try oils. 9. What oils could you try to help with stress? Here’s a link to the doTERRA chemistry wheel: https://www.doterra.com/US/en/blog/science-research-news-doterra-oil-chemistry-wheel. Consider calming oils first. Serenity is a great blend if you prefer pre-made blends. Yes, there are oils that focus on grounding, centering, clearing, and focusing. Those have a place. But in my mind, based on what I know from Dr. Shanker’s work, the first goal is to get stress under control. That being said, every child is different so experiment and see what works. 10. Again, oils aren’t magic, okay? Use the oils as part of a broader routine. Maybe screens go off after dinner, the lights get dimmer, and your family reads together or does a bit of yoga. Maybe you use that time to share one positive thought about your day or a hope that you have for your future. Maybe you say a prayer together. The oil becomes part of this family ritual of self-care and togetherness, got it? Stress management should be integrated into the entire day but pay close attention to nighttime routines. Sleep restores us. If you and your child are hyped up and stressed out before bed, that will impact your sleep. So if you feel overwhelmed and don’t know where to start, start with the nighttime routine. 11. Why does this work? You can read about essential oils and traditional view of how they work here. But in this post I want to mention the idea of essential oils as PRIMERS. Primers are cues we receive from our environments that influence our behavior. For example, let’s send one person into a violent movie where the hero dies and another person into a romantic comedy where love conquers all. After the movie, let’s ask these two individuals about their view on humanity. Who do you think would have the more optimistic outlook? For more on primers, I want to direct you to the book, Creating Your Best Life. It’s a great book overall but read about primers in Chapter Nine. Primers are all around us. We can control some, others not so much. Putting up inspirational quotes in your office is a great example of using primers. Essential oils are primers. As part of a routine, they tell your mind-body that it’s time to relax and heal. I believe that essential oils are most powerful when used as part of this kind of ritual. This is our healing oil and ritual. This is our be silly and dance oil and ritual. This is the oil our family uses when we want to wind down for the night. See how it works? Over time, your brain will smell that oil and it will be primed to enter a state of calm and relaxation. Primers are the real deal. I hope this helps and if you have any questions about oils or life in general, please ask. Many questions are answered on my FAQs page. Her teaching is focused on gentle, restorative, and accessible yoga. She is passionate about helping students from all walks of life, at all levels, to connect with the powerful practice of yoga. In particular, having recovered from the pervasive impact of the disease of stress, Karen feels called to help other women struggling with stress to make positive changes so that they too can "remember calm." Karen leads various yoga workshops on topics such as meditation, time management, personal growth. She completed her 200-hour teacher training with Frog Pond Yoga Centre in Princeton, Massachusetts where she was instilled with the notion that her most important role as a teacher is to empower her students to become their own best teachers. Karen is certified in Reiki 1 and recently completed her Level 1 Training with Yoga for Arthritis studying under Ann Swanson. Karen has worked in higher education for over a decade and holds a master's of higher education and a certificate of advanced graduate studies in educational leadership. She is a staff writer at Women in Higher Education and calls Central Massachusetts her home. Her ideal day starts with a cup of coffee and is spent at home with her husband and son, playing board games, reading, and writing, letting her yoga practice appear organically as part of daily life. Two of her favorite places on Earth are Long Beach Island, New Jersey, and the amazing Kripalu Yoga Retreat Center in Western Massachusetts. Karen is an avid reader and if she's not posting about yoga on Instagram, she's probably posting about books. ​You can find her on Facebook at Karen Costa Wellness or follow her on Instagram @KarenRayCosta.